Canon EOS 5DS Mark II & 5DS R Mark II is a rumored high megapixel full frame DSLR camera from Canon, it is rumored to be announced in 2019. Rumors: Canon 5DS & 5DS R to be Replaced by a High Megapixel FF Mirrorless Camera ? 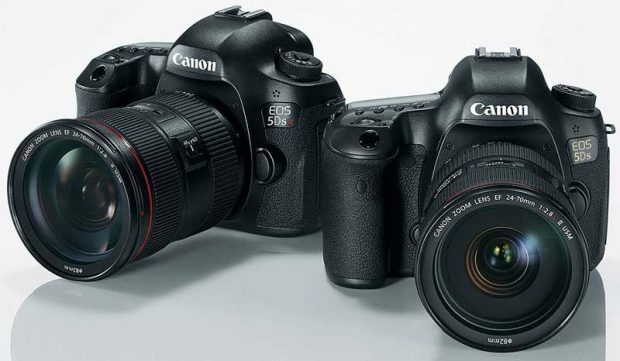 The Canon EOS 5DS & 5DS R are already 3 years old now, there are already rumors on next version 5DS/R Mark II. But according to latest rumors on CR, The Canon EOS 5DS and 5DS R maybe replaced by a high megapixel full frame EOS R mirrorless camera. Author adminPosted on October 12, 2018 Categories Canon EOS 5DS, Canon EOS 5DS & 5DS R Mark II, Canon Full Frame Mirrorless CameraTags Canon EOS RsLeave a comment on Rumors: Canon 5DS & 5DS R to be Replaced by a High Megapixel FF Mirrorless Camera ? Canon has officially announced EOS R (B&H Photo Video/Amazon/Adorama/Focus Camera/WEX) on September 5th, so what products will be announced from Canon ? Below is a list of unannounced cameras that already got registered. According to recently rumors on CR, the replacement of Canon EOS 5DS and EOS 5DS R will be announced in the first half of 2019. According to recently rumors on CR, the upcoming Canon EOS 5DS/5DS R Mark II will not see a big bump in resolution. The Canon EOS 5DS/R Mark II will be announced in the second half of 2018, likely at Photokina 2018. 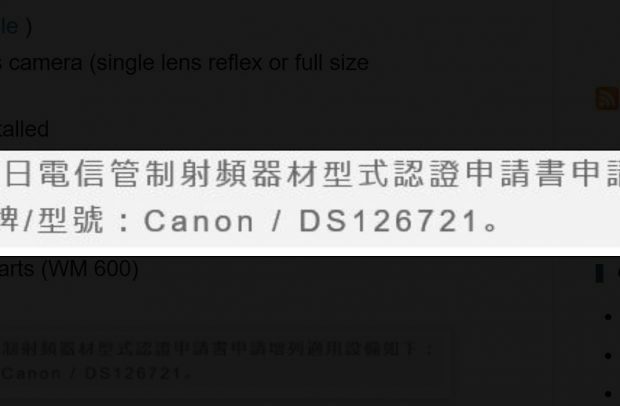 Canon recently registered a new camera code “DS126741”, according to NokishitaCamera, this camera could be EOS 90D or EOS 5DS R Mark II, because it has no built-in bluetooth (also no GPS ? ), in the past only EOS 80D and EOS 5DS & 5DS R have no GPS support. 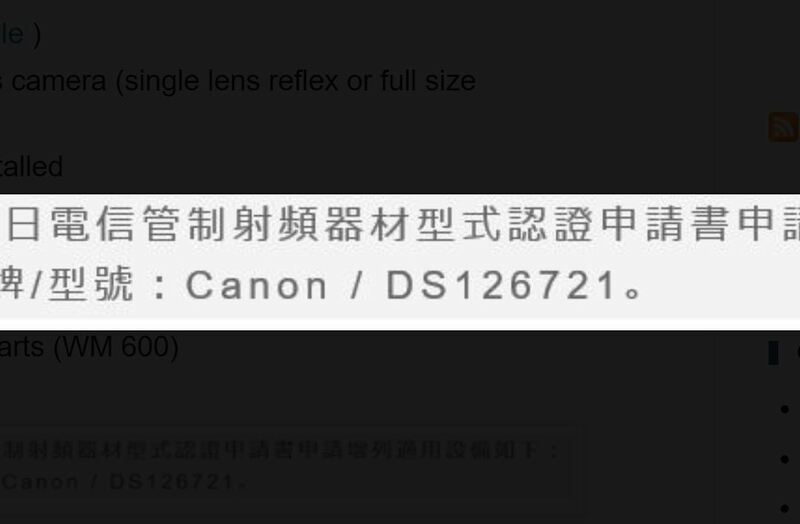 Canon EOS 5Ds R Mark II Rumored to Have a 60.1MP Sensor and 4K Video ! The rumors about Canon EOS 5Ds and 5Ds R successor is coming, according to CR, Canon EOS 5Ds R Mark II will have a brand new 60.1MP full frame CMOS sensor, and will be able to shoot 4K video. The Mark II version will be amalgamated into one DSLR camera. And rumored release date will be in Q3 or Q4 of 2018, likely announced after EOS 7D Mark III and 90D. Author adminPosted on September 5, 2017 September 5, 2017 Categories Canon EOS 5DS & 5DS R Mark IITags 4K Video, Release Date, Specs4 Comments on Canon EOS 5Ds R Mark II Rumored to Have a 60.1MP Sensor and 4K Video !